It is recommended that all asthmatics are vaccinated and protected against the flu. 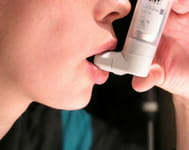 Asthmatic sufferers are likely to develop complications if infected by the flu virus because of the great sensitivity of their bronchi to infections. Latest update on January 2, 2011 at 03:38 PM by Janey39. This document, titled "Asthma sufferers should be vaccinated against the flu," is available under the Creative Commons license. Any copy, reuse, or modification of the content should be sufficiently credited to CCM Health (health.ccm.net). ¿Hay que vacunar contra la gripe a los asmáticos?